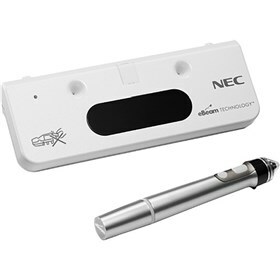 The NEC NP02WI is an interactive eBeam module with USB connection and wireless pen for use with select NEC projectors. The interactive eBeam module is attached directly to the front of the projector, whereas IR is used to determine the pen’s position within the image for accurate control and annotation while. To control and annotate at the screen surface, a single pen is included with the NP02Wi. The NEC NP02WI has many exciting features for users of all types. The NEC NP02WI is sold as a Brand New Unopened Item.